Who’s Jim Hines? is a coming of age story about a twelve year old African American boy—Douglas Ford, Jr.—as he comes to terms with the racial realities of Detroit, Michigan in 1935. Doug’s father is the owner of the Douglas Ford Wood Company, and Doug usually helps his dad around the wood yard located in the side lot next to their house. But when Doug loses his textbooks on the way home from school one day, he’s got to earn the money to pay for more books. And he does it by joining his father in the backbreaking work of delivering wood to customers throughout Detroit and its suburbs. 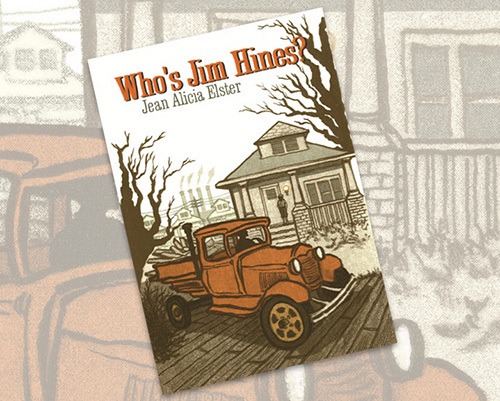 Doug, who knows all of his father’s other drivers, sees this as his chance to unravel the mystery that he’s never before been in a position to do anything about—discovering the identity of the only one of his father’s drivers whom he’s heard of but never seen: Mr. Jim Hines. Based on a true story, the focus of the plot is on Douglas Ford, Jr. and the successful family-owned business, the Douglas Ford Wood Company—a scrap wood enterprise owned and operated by his father. Unique in the segregated Depression-era city of Detroit, the Ford family lives in a racially mixed community of blacks from the South and Eastern European immigrants. The book is rich in its descriptions of life at that time—the auto factories, the unions, Northern-style segregation, and the effect of color distinctions within the black community. But it also brings to light the unique way in which Doug’s father must conduct his business in order to support his family and contribute to the prosperity of his neighborhood. In an emotional climax, Doug must confront the how and why of the heartbreaking reality about the Douglas Ford Wood Company.